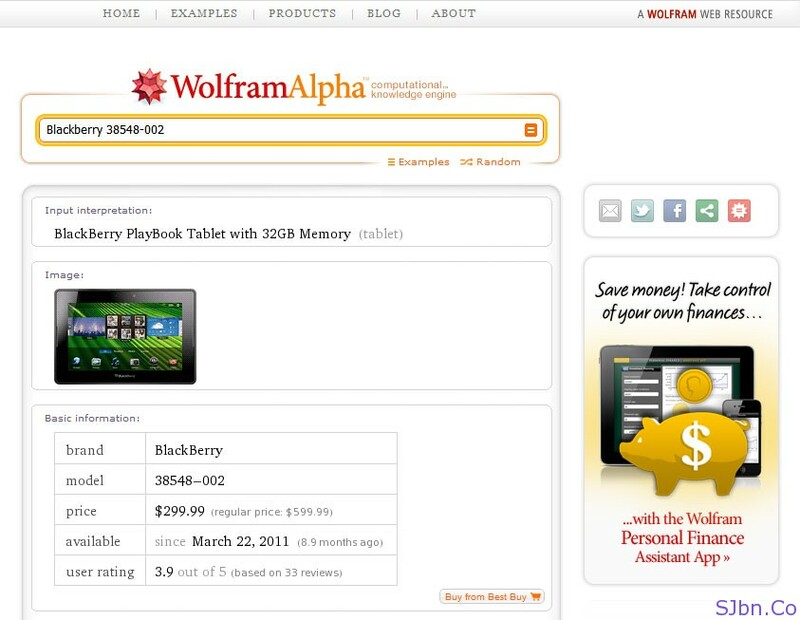 Today in this post I will tell you how you can get products information with Wolfram|Alpha. Finally Christmas and New Years is arrived and it’s time for holydays, party, gifts, etc. so most of you where preparing gifts for your kids, friends, relatives or for self. But not sure which one you should buy. So to help you Wolfram|Alpha using BestBuy public API to give to detailed information about any product you are searching for. For instance if you want to gift a new mobile phone to your wife in the range of $200 to $300, so simply search for mobile phones in price range of $200 to $400 in Wolfram|Alpha and it will show all brands name which have phones in that, how many models they have, what are the features they have, etc. You can search products by category e.g. : Vacuum Cleaner, Air Conditioners, Cameras, etc. You will also able to compare up to three products at a time. Simply separate each products name with back slash (/). E.g. : I would like to compare three tablets so I will write like this Acer A100-07U08U / Apple MC775LL/A / Samsung XE700T1A-A01US.